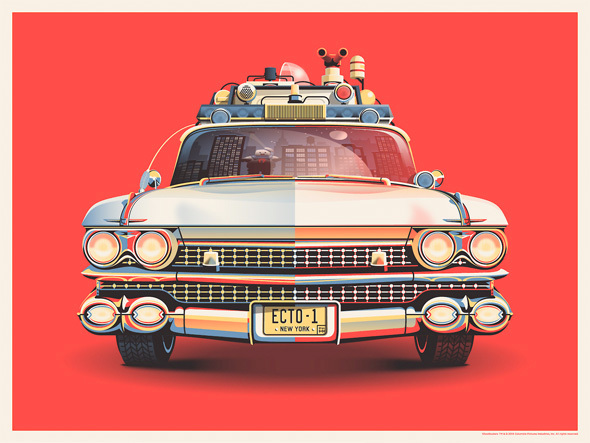 Not too long ago, we called your attention to the fantastic traveling art show from Gallery 1988 to commemorate the 30th anniversary of Ghostbusters. The show is hitting New York this weekend, followed by stops in Los Angeles, Chicago and San Diego (during Comic-Con) in the months following. Now a few more pieces from the show have been unveiled, along with details on what will be available for purchase at the gallery show itself, not to mention what fans who aren't lucky enough to attend these shows still have the opportunity to pick up. But first, check out the three newly unveiled pieces from the show just below. According to the Gallery 1988 Tumblr, "A majority of the artwork will ONLY BE AVAILABLE by attending one of the galleries in-person. A very small allotment of prints has been set aside for each city, with a smaller selection at our final Comic Con stop. This is the ONLY way to purchase this artwork. There will be small surprises at each stop as well." 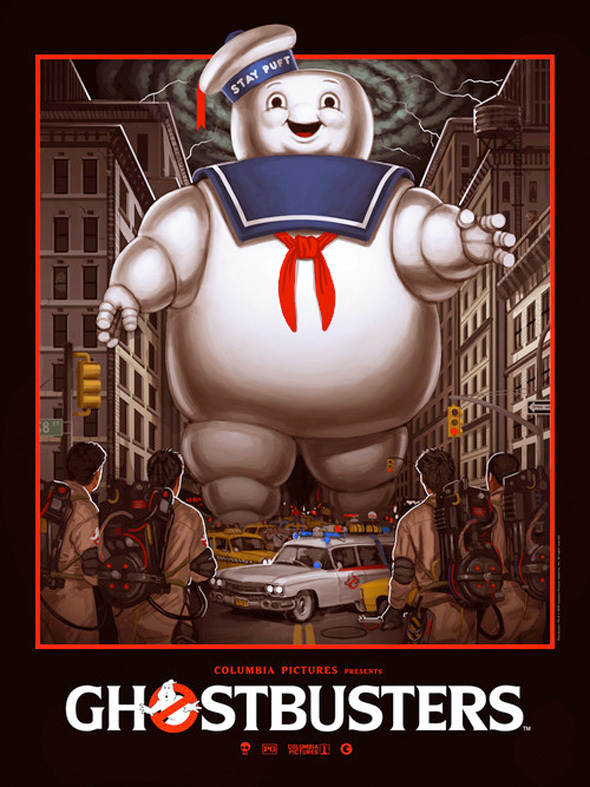 They also add, "A commemorative series of special 30th Anniversary screenprints will be available in limited amounts online ,as well as in-store, at ghostbusters30th.com. These will be released sporadically over the next month." So just stay tuned to Gallery 1988 for more info. 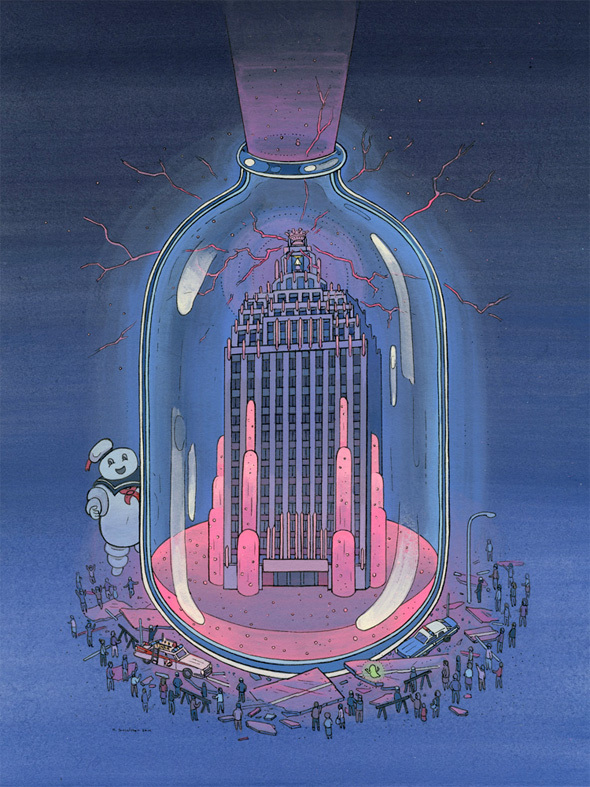 Gallery 1988's Ghostbusters 30th show will hit New York from April 19th-26th at 69 Leonard Street (between Church & Broadway) with an opening reception on April 19th (that's also Record Store Day) from 7pm to 10pm. A month later at Gallery 1988 (West), 7308 Melrose Avenue the show hits Los Angeles from May 17th-June 1st with the opening reception there on May 17th from 7pm to 10pm. Then the show hits Chicago from June 20th-22nd at Rotofugi and also the San Diego Comic-Con from July 23rd-27th. I'm in love with the last one.